Crystal Clusters generate 1 Vis every 5 minutes for the nearest node, and allow that node to store 10% more Vis than its maximum. If the cluster transfers Vis to a node that is at or above its maximum, it generates flux. No flux is generated if the node is below its maximum. 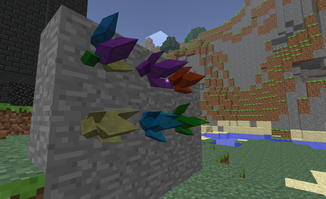 You have found a way to fuse the crystal shards into larger, more stable, crystalline clusters. These crystals thrum with magical energy and are quite pleasing to the eye. These crystals seem to be able to slowly replenish nearby aura Nodes and even boost their Vis levels to a limited degree. Of course that will probably lead to Flux build-up, but the benefits may outweigh the negative side-effects. Crafting the Crystal Clusters must be done at the Infusion Altar. 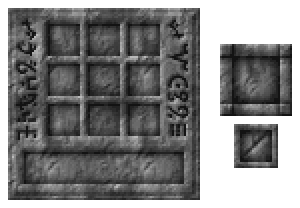 Crafting also consumes 100 Vis , 8 Vitreus, 8 Praecantatio and 8 Permutatio(from nearby Crucible or other source).